Welcome to Appetite for Apprenticeships! An evening of conversation, canapes & culture. 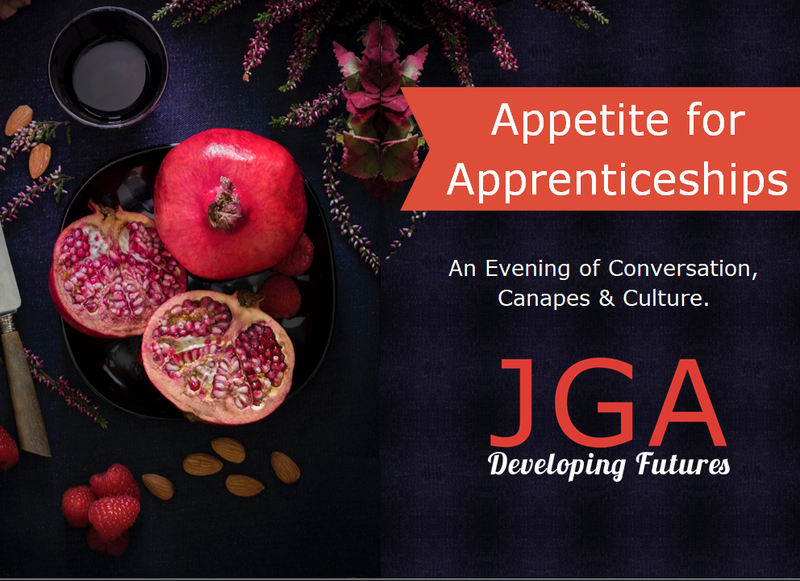 The JGA Group invites you to be a guest at this informative and entertaining evening that will provide valuable insight on how an apprentice could add value to your organisation. Join us for fine wine, South American Canapes and musical performance at a private Mayfair venue. Talk to real apprentices about their experiences. Discuss The Levy and how it can be used so you don’t lose out.